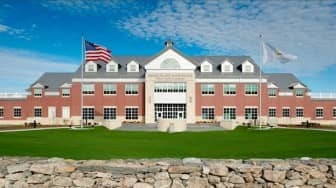 Rhode Island State Police Public Safety Complex, Scituate RI. with fraudulently obtaining public assistance. State Police are currently searching for 26 other individuals wanted on similar charges. The 88 suspects allegedly collected approximately $469,000 in public assistance over the past several years after failing to disclose that they had outstanding felony warrants against them at the time they applied for public assistance, which would have precluded them from obtaining benefits. The outstanding felony warrants included a variety of criminal charges for violent and non-violent crimes, ranging from attempted murder and first-degree robbery to felony shoplifting and narcotics violations. “Public assistance, the SNAP program and other state benefits are there for those who need and deserve them. We cannot and will not tolerate abuse of this system,” Manni said. The investigation was based on an analysis of data by analysts at the Department of Administration, who determined that these 88 individuals allegedly applied for and received public assistance while they were sought on active felony warrants issued by the Rhode Island Superior and District Courts and/or by courts in other states. According to DOA records, these individuals never reported the outstanding warrants at the time they filed applications for benefits, under penalties of perjury. Federal regulations require all outstanding warrants to be reported on applications for public assistance. According to DOA records, these individuals never reported the outstanding warrants at the time they filed applications for benefits, under penalties of perjury. Previously arrested as a Fugitive from Justice – Milford MA District Court – Intimidation of a Witness/Juror/Police/Court Official. Wanted by Monmouth County New Jersey for Violation of Probation – Possession of a Controlled Substance. WARWICK, RI —Pilgrim High students united against tobacco use March 20 along with young people nationwide to mark Kick Butts Day, an annual day of activism sponsored by the Campaign for Tobacco-Free Kids. More than 1,000 events were planned across the United States. At Pilgrim High School, students made posters about deceptive marketing practices used by tobacco companies and made anti-smoking pledges. While cigarette smoking among high school students nationwide has fallen to 8.1 percent, e-cigarette use among high-school students rose by an alarming 78 percent in 2018 alone – to 20.8 percent of the student population. In 2018, more than 3.6 million middle and high school students used e-cigarettes. U.S. public health leaders have called youth e-cigarette use an “epidemic” that is addicting a new generation of kids. school students use e-cigarettes, while 6.1 percent smoke cigarettes. Tobacco use claims 1,800 lives in Rhode Island and costs the state $640 million in health care bills each year. The main cause of the youth e-cigarette trend is Juul, which looks like a computer flash drive, is small and easy to hide, delivers a powerful dose of nicotine, and comes in kid-friendly flavors like mango, fruit and mint. According to the manufacturer, each Juul “pod” (cartridge) delivers as much nicotine as a pack of 20 cigarettes. E-cigarettes pose serious health risks for kids.The U.S. Surgeon Generalhas found that youth use of nicotine in any form – including e-cigarettes – is unsafe, causes addiction and can harm the developing adolescent brain, affecting learning, memory and attention. Studies also show that young people who use e-cigarettes are more likely to become cigarette smokers.